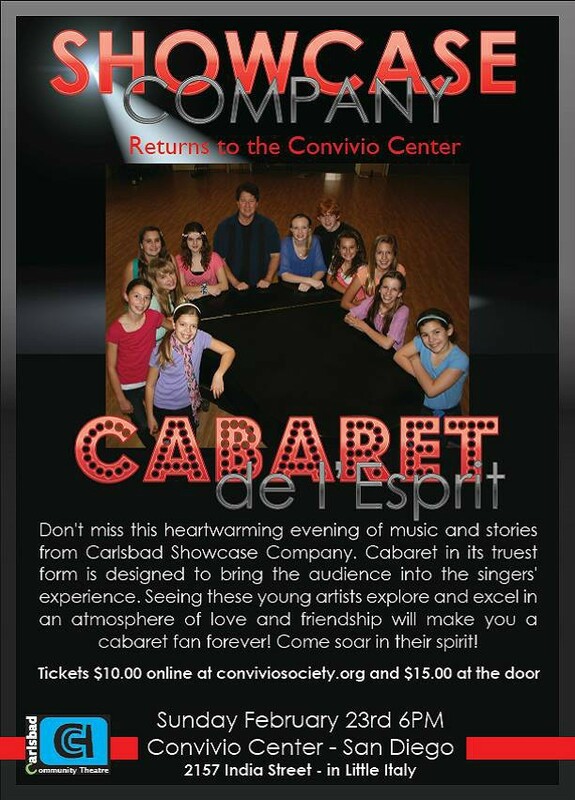 Carlsbad Community Theatre - News - Showcase Company Cabaret de l'Esprit - click on photo for review! San Diego Theatre Reviews gives glowing review of our Showcase Company. We are so proud of this group. Click on the photo and scroll down for full review! Showcase performed Cabaret de l'Esprit in Feb. - click here and scroll down to see our review! So proud of our kids!